Home > So ISPs Can Sell Your Internet Browsing History Now? So ISPs Can Sell Your Internet Browsing History Now? Yes, assuming the President does not veto the bill …. ISPs collect huge amounts of data on the websites people visit, including medical, financial and other personal information. An FCC regulation, passed in October 2016 and scheduled to take effect in December 2017, would have required ISPs to ask permission before selling that information to advertisers and others, a so-called opt-in provision. Furthermore, many consumers have little choice when it comes to their Internet provider, especially in rural areas. 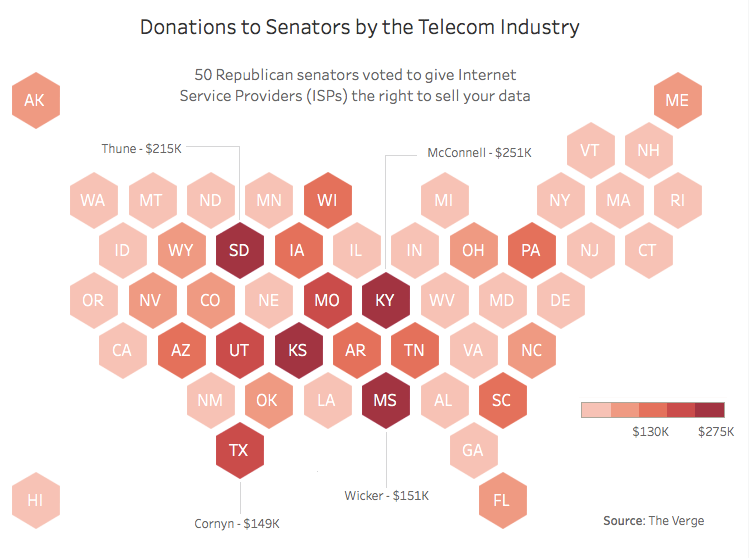 On March 22, the Senate voted along party lines to give internet service providers (ISPs), such as AT&T and Verizon, the ability to collect and sell your browsing history for advertising purposes, without seeking your permission. The resolution then passed the House of Representatives 215-205. The repeal also removes obligations from Internet providers to increase protections for consumers against hackers and thieves. And it prohibits the Federal Communications Commission, the top telecom regulator, from trying to restore its privacy regulations in the future. Congress did not create a new privacy framework to regulate the sale of customer Internet data, either. How Will ISPs Collect Your Internet Data? 1. Deep packet inspection. ISPs go through certain pockets of data that are sent across the web and data that’s used for user protection. This can also be batched together to include information like age, location, name and other personal data. 2. Monitoring Internet activity. ISPs monitor the websites that users are visiting and get the information, store and sell it. This can be highly lucrative for advertisers. 3. Tracking user location. Thanks to GPS-enabled smart devices that monitor your location, such as which stores you visit and how long you spend there, ISPs could generate revenue from location tracking. ISPs, which have argued that the regulation would put them at a disadvantage compared with so-called edge providers, like Google and Facebook. Those companies are regulated by the Federal Trade Commission and face less stringent requirements. Many broadband companies say those rules are unnecessary because they already offer detailed privacy policies and take steps to defend their businesses from online attack. One potential benefit is ISPs might offer discounts to consumers in exchange for letting the company monitor their browsing history. 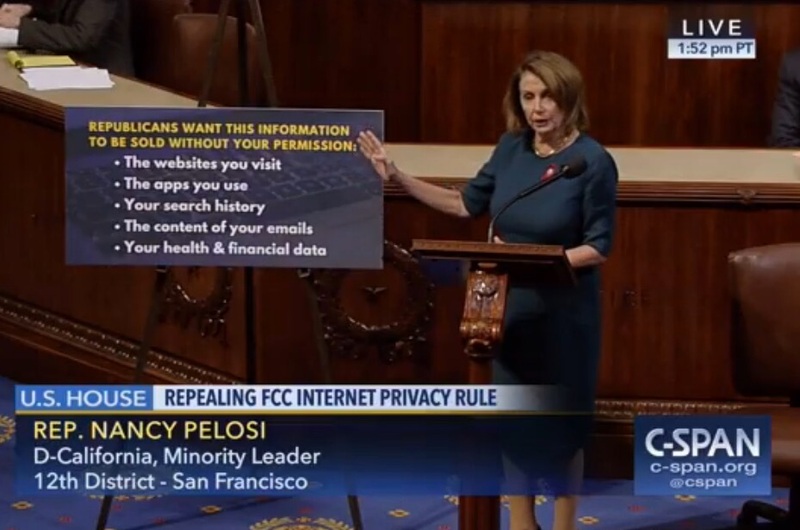 Why Did Republicans Vote to Repeal the Privacy Rules? According to ArsTechnica, Rep. Michael Burgess (R-Texas) said the rules set forth by the Federal Communications Commission that limited the ability of ISPs to collect, share and sell data “unfairly skew the market” towards social networks and search engines and is an example of government overreach. 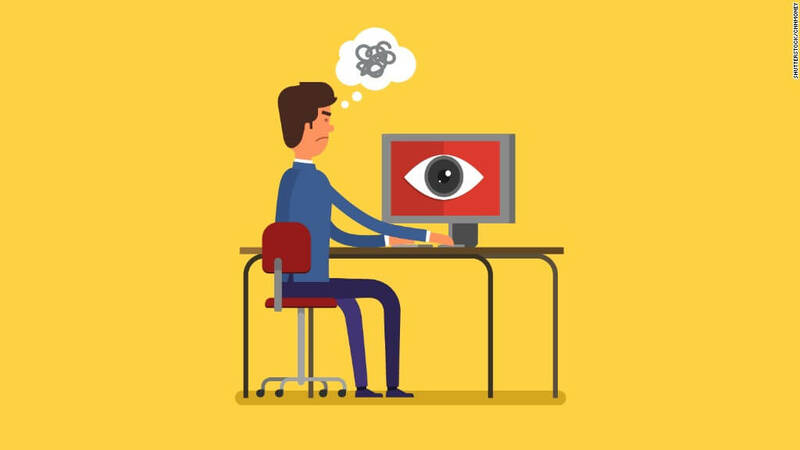 How Can You Protect Your Internet Browsing Privacy? Without these rules, could someone really go to an Internet provider and buy a particular person’s browsing history? The short answer is “in theory, but probably not in reality.” But ISPs could share detailed information about a person’s Web usage that could be used to discover his or her identity. First, use a virtual private network, or VPN. A VPN can hide your true Internet location so that it looks like you’re surfing the Web as somebody else, and encrypt your Internet traffic so that nobody outside of the VPN can tell what you’re looking at. For example, you can actually be surfing the web in New York City, but a VPN can make it appear as though you are surfing from Toronto, Canada. Other tools, such as Tor, mask your identity by sending your Internet traffic through other intermediary servers before arriving at its destination. Make sure that the websites you use take advantage of HTTPS. HTTPS is like a more secure version of the normal websites you visit. Chrome users can install this extension. However, these tools they don’t prevent snooping software that an ISP may have installed on your own device, logging your activity locally. What do you think about the FCC privacy rules? Should consumers be allowed to opt out of the sale of their Internet browsing or geo-location data? Will you take measures to protect your privacy?